It’s German composer Felix Mendelssohn’s 210th birthday! Happy birthday, Felix. We’ll have a brat and a brew in your honor. Oh, and it’s also the big game, coming at you live from Atlanta, Georgia. Maybe you’re in it for the football, maybe you’re in it for the commercials, or maybe your TV just got stuck on CBS, and no amount of throwing your remote at the cable box will change it to the Law and Order marathon you wanted to watch. No matter the reason you’re tuning in, we’ve got a list of tips to help you have a winning experience. So dust off your end-zone dance, toss on your team’s jersey, and let’s get to it. It could be the greatest football game of all time, but if you don’t have a decent spread to nosh on, then why even bother? We can only hope to one day be this ambitious. Ricotta Blitzes: much like a blitz involves five or more players rushing during a single down, these ricotta blintzes will have you rushing to shove five or more in your mouth at the same time. Classy! Tight burnt ends: nothing like tasty brisket to underscore that yes, all of your food will definitely have punny names, and what of it? Bloody hail Marys: your guests will need a lot of these refreshing drinks to forget about the abundance of football puns. Pro tip: if you see a friend of yours going in for a bite of something yummy, simply yell “interception,” dive in front of them, and eat their food! They can’t get upset, ‘cause you intercepted, fair and square. Nicely done. In this brave new streaming world, commercials have become a relic of the past. But not this Sunday. This is their chance to shine. Why not find out which one shines the brightest? Have your guests rank each commercial on a scale from one to ten and at the end of the day, tally ‘em all up to find out which commercials were hits and which were misses. But before you rank anything, make sure your hearing is in tip-top shape. If commercials have been a little harder to follow as of late, you might want to consider Eargo hearing aids. 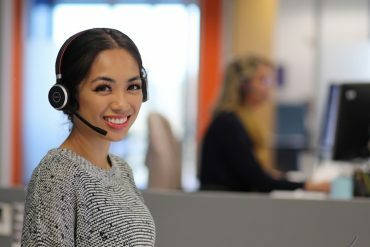 They’ll help you hear every moment, from Betty White hawking Snickers, to E-Trade’s disconcerting, talking baby (bet you forgot about that one, eh?). 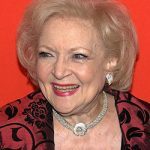 Pro tip: vote for Betty White’s Snickers commercial as the best commercial of 2019. Yes, it aired in 2010, but no one can argue with perfection. Maroon 5 is performing the halftime show this year. They’ve been around since 2001, and chances are you know a couple of their tunes. So…belt it out! Nothing like a sing-a-long to keep the energy from dropping. But wait a second…what if you can’t hear any of the songs they’re performing? We’ve got a solution (and we bet you’ll never guess what it is…): Eargo hearing aids! They’ll help you hear everything, from the thumping bass, to Adam Levine’s crazy-good falsetto, to your cousin who’s completely tone-deaf but he’s trying his best, so can you stop throwing globs of puntato salad at him?? Pro tip: Maroon 5 will be joined on stage by rappers Travis Scott and Big Boi. In honor of this collaboration, challenge your party guests to a rap battle! Even if none of you know how to rap, it’ll be fun to try, and it’ll give you more people to throw handfuls of puntato salad at. Win-win. Rank the players from best end zone dance to worst. Mute the TV and do your own spin on the super popular football Bad Lip Reading videos. Pout when you’re banished to the kitchen for muting the TV and unsportsmanlike conduct. Eat all the food in the kitchen to spite the rest of your party for banishing you. No more puntato salad. That’ll show them. Or… just kick back, watch a good game, and, with the help of Eargo, enjoy every moment. 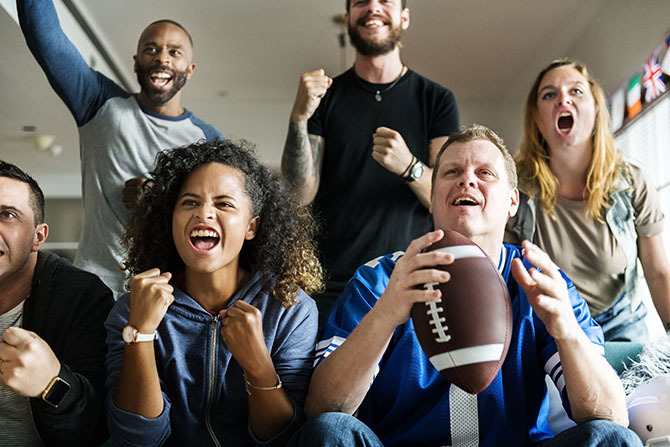 Whether it’s your buddy arguing with the ref’s bad call, your sister crying at the surprisingly touching Budweiser commercial, or your entire group singing along to one of Maroon 5’s catchy hits, you’re going to want to hear every moment. Except for your cousin’s singing. You don’t want to hear that. 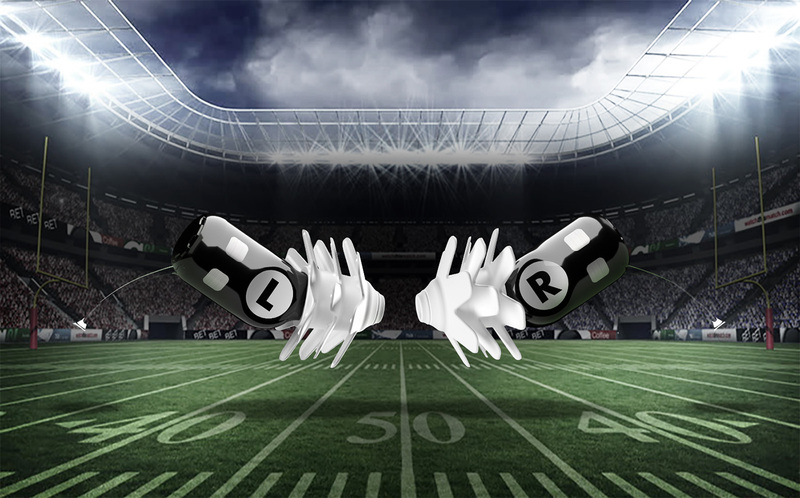 If you’re ready to really experience the big game, head over to https://shop.eargo.com/ and get ready to upgrade your hearing. And if you’re still on the fence, why not try our free sample kit. You can experience all the comfort and ease of Eargo, no strings attached. And let’s face it, fences aren’t comfortable places to hang out. And while we don’t know who the MVP of the big game will be, we have a feeling your personal MVP will be Eargo. So put us in, coach. 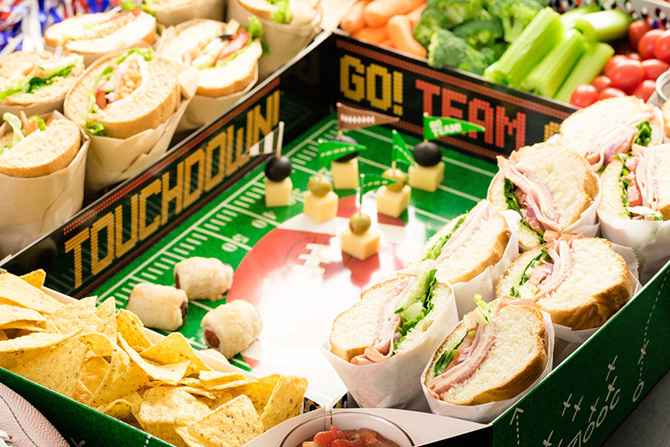 We’re ready to help you have the best game day ever. Your copywriting brings tears of joy to my eyes. Outstanding thoughts and humor. We’ll pass your note on, Preston. Ch(ears)!